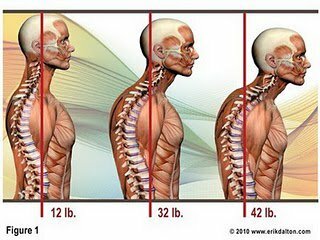 Posture is such an important part of how our bodies feel. Here at Mending Hands - extra time is made to talk about some quick and simple posture tips to keep you feeling better in between sessions. We can talk about the specific ways to get you feeling better at your desk, at home and even while you are exercising. Just let me know when you make your appointment that you want to get some great self care tips to prevent back pain, head aches and other posture pains! From injury prevention to warm up to cool down, massage therapy can benefit every part of an athlete's training program. Properly administered sports massage can improve your overall athletic readiness and treat specific problems that might be holding you back in your training. 1. A Steamy Stretch: Use the heat and warmth of the shower to increase the effectiveness of stretching! Doing neck stretches in the shower or even hamstring stretching (Think: Sit & Reach) in the tub is a great way to add some much needed muscle lengthening to your daily routine. Please, be careful! Take your time and make sure you are balanced. Only stretch in the shower if you can do so safely! Here at Mending Hands - most clients get personalized stretching tips to take home and take care. 2. Aromatherapy: A suggestion would be to put a few drops of Eucalyptus or Tea Tree oil in your hands and inhale while letting the warm water hit your chest. This can help with congestion, inflammation, sore throats, colds, flus and even laryngitis. Looking for a bright pick me up for the start of your day? Anything citrus - Lemongrass, Orange or Grapefruit will do the trick. Taking a bath to calm down for the night? Try Lavender, Chamomile or Ylang Ylang. 3. Scalp, Head, Face and Ear Massage: Take a little longer with that shampoo lathering to loosen up your scalp and the base of the skull where all those tense neck muscles attach. Tug on your ears to loosen up that fascia that might be triggering your TMJ. Find all those yummy Shiatsu face points that help with headaches or sinus issues and give yourself some relief. 4. Soak it Up: Add some epsom salt to you bath and let your whole body unwind in it's grain sized mega magic. In the warmer months - add some Peppermint Oil to draw the heat out of your hard working body. 5. Use a Scrub: Yes, sugar or salt scrub exfoliates the superficial layer of the skin - making a brighter new you! BUT! The actual act of rubbing the scrub all over IS massage! So go to town, massage yourself to de-stress while you clean up! Hope you enjoy these 5 simple steps to making sure you take time to take care of yourself!